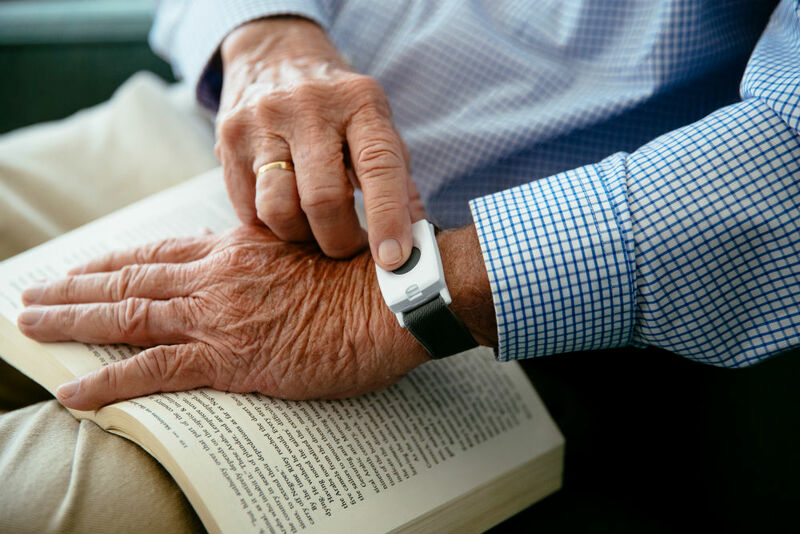 · How Can Smart Home Technology Help You As You Age? How Can Smart Home Technology Help You As You Age? There are plenty of reasons older adults want to stay in their own homes as they age—it's familiar, full of memories, and provides an opportunity to remain independent. At the same time, there are also things that make aging at home difficult, like mobility issues, remembering to take medication, and convincing well-meaning but worried family members you'll be ok.
Luckily, there are many things that will make aging at home safer and more convenient. A smart home is equipped with a number of devices that will allow older adults to stay in their homes. 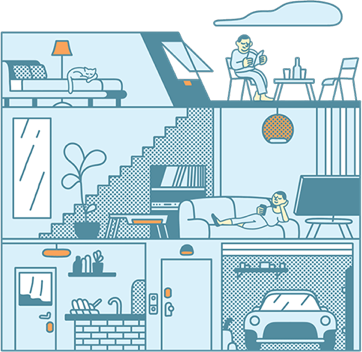 But what exactly is a smart home? Basically, it's a home equipped with technology that allows for security, automation and control from anywhere. It's more than a few smart devices—it's connecting surveillance cameras, security alarms, doors, lighting, thermostats, and more together in one seamless experience. And what you get is increased security, comfort, and energy savings. All of these features and benefits can help you with your day-to-day living as you age so you can stay in your home longer. Keep reading to learn more. Enjoy life in your home for much longer with the help of a Vivint Smart Home system. 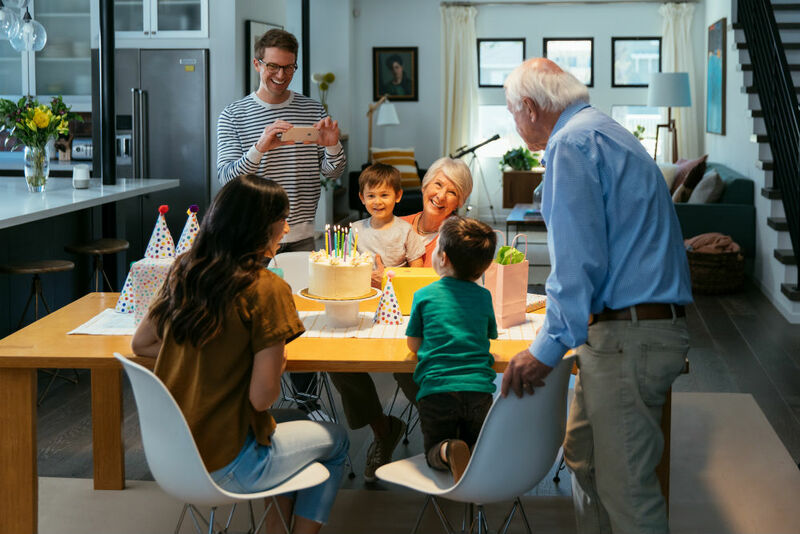 For many older adults, the decision to remain at home as they age centers around the happiness that their home brings. The memories that your home brings, with its family photos and heirlooms, is impossible to replace. That's why having the right home security system for the older adults is so important. A Vivint home security system combines the latest home security technology with 24/7 professional monitoring to keep you and your home safe and watched over, day and night. With a Vivint Smart Home system, you can rest easy knowing that our professional monitoring experts are keeping an eye on your home 24/7. Features like glass break sensors and burglary detection sound an alarm designed to alert you and scare any would-be intruder away, while smart smoke alarms and carbon monoxide detectors detect dangers and immediately alert the central monitoring team. 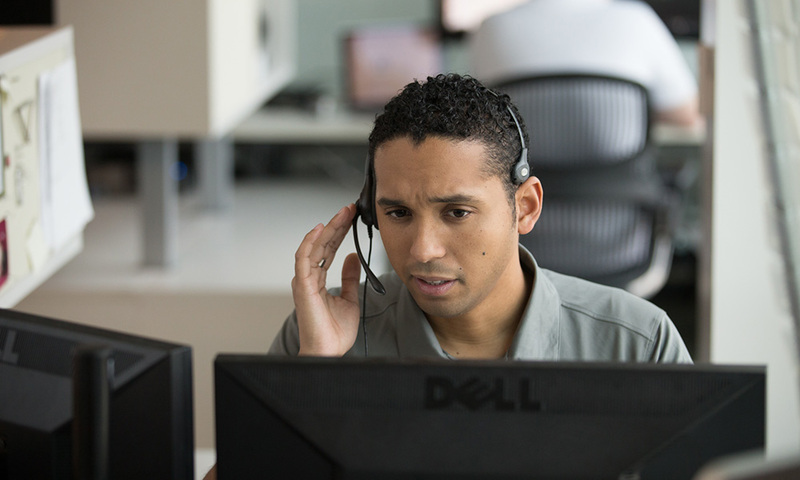 In the event there is an emergency, our monitoring specialists will contact the appropriate authorities for assistance. Did you know that one in four Americans aged 65+ will experience a fall this year? It's also important to note that every 11 seconds, an older adult is treated in the ER for a fall-related injury. Simply put, this is why a panic pendant is one of the most important home safety products for older adults. With a Panic Pendant from Vivint Smart Home, you'll always have the help you need in case of an emergency. Vivint's Panic Pendant is a small device you can wear on your wrist, around your neck, or keep it close by so if there's ever an emergency or you need assistance, a press of the button will connect you to a member of our 24-hour monitoring team, who can respond and request assistance from the proper authorities. As the primary entry point to your home, the front door is one of the most important areas to secure. Locking the door is also an incredibly easy security measure to forget. Thankfully smart locks make securing your front door easy. 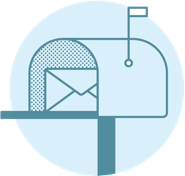 Smart locks are keyless locks that you lock and unlock electronically by inputting a numeric access code, or by using the Vivint Smart Home app rather than a key. You can also set rules to automatically lock after you close the door, making your home more secure. And since nearly 1/3 of all home break-ins occur through a front door, keeping it locked is a must. 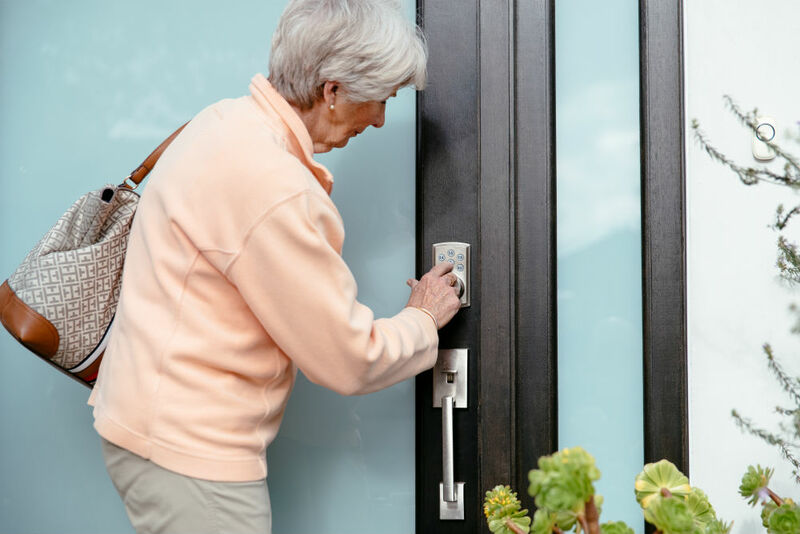 Smart locks are also helpful if you can't easily get to the door; just create specific codes for certain people who regularly need access to your home, such as caregivers, Meals on Wheels, and family members, and they can let themselves inside with their unique code. Or, you can simply let them inside yourself right from your phone. Making the rounds to turn off the lights can be difficult for many aging adults. Smart lighting lets you turn lights on and off from your smartphone without having to get out of bed or stumble through the dark. You can also set custom lighting groups, such as "bedrooms" or "downstairs lights," and turn those group of lights on or off from your phone. Smart lighting also uses LED lightbulbs, which last an average of 50,000 hours. That's much longer than incandescent bulbs, so you don't have to worry about changing them as often. It can be frightening when you live alone and suddenly hear a loud noise outside. With the Vivint Outdoor Camera, you don't have to wonder about who's on your property or what's happening outside. You can view your outdoor security camera feed right from your smartphone. The clear picture, wide-angle lens, and night vision make it easy to see night or day. The Vivint Outdoor Camera also takes a proactive approach to your security, notifying you on your smartphone when it detects motion and recording a clip of the action. You can tap the notification to view your camera feed. If someone is on your property or something is amiss, you can contact the authorities or request assistance from our monitoring team. Adding a smart speaker like a Google Home or Amazon Echo to your Vivint Smart Home system is an invaluable tool, particularly if you have limited mobility. A smart speaker integrates with other parts of your smart home--like your security system, lighting, and thermostat--so you can control your smart devices with simple voice command. Maybe you need to turn your lights off but don't want to get out of bed. Just say, "Hey Google, turn off the lights." You can also use voice commands to arm your security system, lock your door, and change your thermostat settings. For older adults with mobility problems, smart speakers make it easier to do basic things around the house without the need to move around. A smart speaker also helps you stay connected to the outside world. For example, if you want to know the weather or hear the news for the day, just ask your smart speaker. This is also helpful for those with vision problems who may have difficulty reading. A doorbell camera is another important security feature for your home. When you're not expecting anyone, a knock at the door or ring of the bell can be unnerving. The Vivint Doorbell Camera lets you see who's at the door right from your phone, without having to get up and go to the door. The camera's two-way talk feature also lets you communicate with whoever is at the door through your smartphone app or Smart Hub panel. When paired with a smart lock, you can see who's at the door and let them in, all from the app on your phone. Too hot? Too cold? 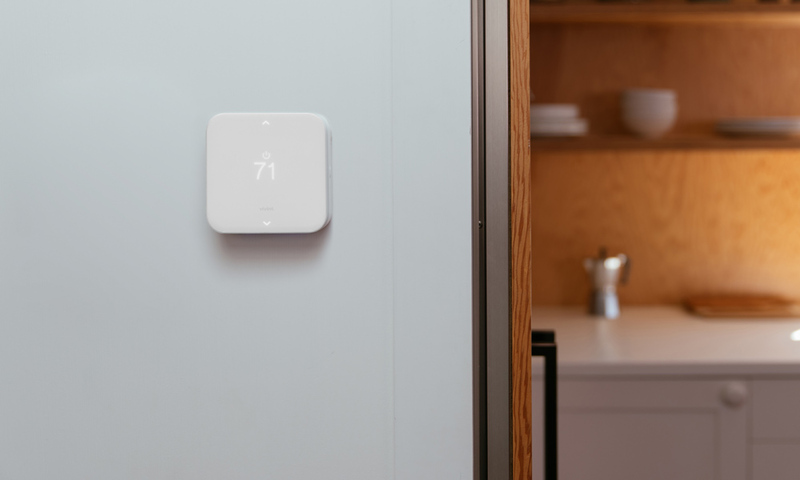 With a Vivint Element Thermostat, you can adjust the temperature right on your app or by telling your smart speaker to raise or lower the temperature. Another benefit of the Element thermostat is that it truly is "smart"—it learns your temperature preferences and adjusts them for you. For example, if you like your bedroom cooler while you sleep but warmer during the day, it will raise or lower the temperature automatically based on your preferences. Keep your home at the perfect temperature level all the time with the Vivint Element Thermostat. When it comes to aging at home, preparation is key to making your home as safe, convenient, and comfortable as possible. 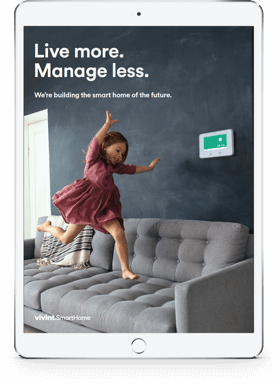 With smart devices that let you control your home wherever you are, a Vivint Smart Home helps ensure you continue to enjoy the comfort of your home for years to come. If you're ready to see how a Vivint Smart Home can benefit you, contact one of our Smart Home Pros at 800.646.1469 for a free quote today.